Life is continuously revealing truth. 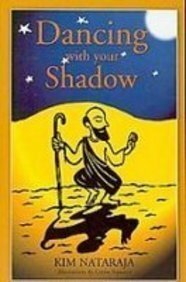 When I was studying for my 500-hour certification in Kerala, India, we were exposed to Hindu Mythology in an effort to understand the stories behind yoga poses, and if you're interested in learning more I suggest you check out my wonderful teacher, Danny Arguetty, whose book is below. There’s a myth that’s stuck with me all these years later, and it explains a lot about life and the human condition, especially at this time in history. Some of you out there are probably familiar with Dancer Pose, well the pose comes from the myth of Nataraja, and the Dancing Shiva. 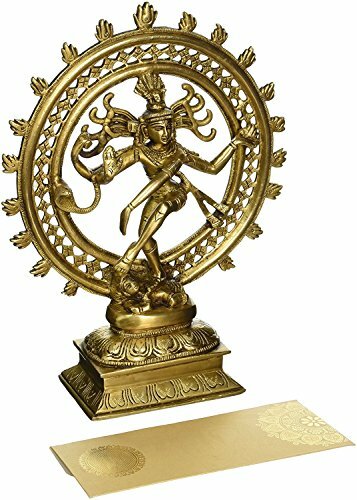 Nataraja is an avatar for Lord Shiva, who is the god of destruction; however, in this myth Shiva embodies knowledge, in an effort to overcome ignorance through dance and music. Bare with me, in this story, Apasmara is a dwarf, who represents ignorance. There’s an understanding that in order to have knowledge, there must also be ignorance. I love this idea - without ignorance, there isn’t knowledge. Apasmara knew this to be true, so he of course became arrogant in knowing his power. Apasmara (ignorance) challenged Nataraja (knowledge) to a dance, which was Apasmara's great act of arrogance. Lord Shiva, in the form of Nataraja, performed the dance of destruction, and crushed Apasmara, under his right foot. In the statue, you can see that he’s in mid-dance standing on one foot. Now, some of you might already see the parallel to our current reality. There’s a great dance happening in the world for control of "knowledge." In many ways, it seems like there’s a War on Truth, whether it’s “alternative facts,” blatant lies, or spinning information toward one's beliefs. There are people, who are pushing alternative realities, and they have become drunk with arrogance in this pursuit. Because it seems regardless of how ludicrous their words, there are people who still believe them. If this dance offers us any solace, it’s that knowledge always conquers ignorance. It’s why slowly, but surely, humankind is evolving toward good, toward equality, toward justice. We are witnessing an incredible era in human history, where we are experiencing what happens when technology and media are unchecked. There are over 400 hours of content uploaded to YouTube every minute! Computers might not be “smarter” than humans, yet, but the speed at which life happens makes it increasingly hard for humans to keep track of facts. It’s more important than ever for us to be mindful. Every day, every moment is calling us to wake up and engage with the world. And, yoga is simply mindful engagement withe the world; hence, bottom line, yoga is everything. Truth is really just the willingness to see ourselves for exactly who we are, in relation to our beliefs. Yes, it’s easy to choose ignorance in an attempt to preserve the “status quo,” but there’s no time for the “status quo” the world needs us on alert. Where are you willing to overlook facts to shield yourself from potentially painful truths? Truth begins with this moment. In this great dance between ignorance and knowledge, what side are you on?